BERLIN, February 1. /TASS/. If the United States announces its withdrawal from the Intermediate-Range Nuclear Forces Treaty (INF Treaty), Germany will try to save the document in the next six months, German Chancellor Angela Merkel said at a joint press conference with Armenian Prime Minister Nikol Pashinyan on Friday. "If it comes to an announcement today, then we will make every possible effort to use the six-month period to hold further talks," she said. "It is clear to us that Russia has violated the Treaty. There needs to be dialogue. On our part, the German foreign minister and I will do everything to pave the way for talks within the six-month period," Merkel added. According to her, NATO will thoroughly assess what the US withdrawal would mean. 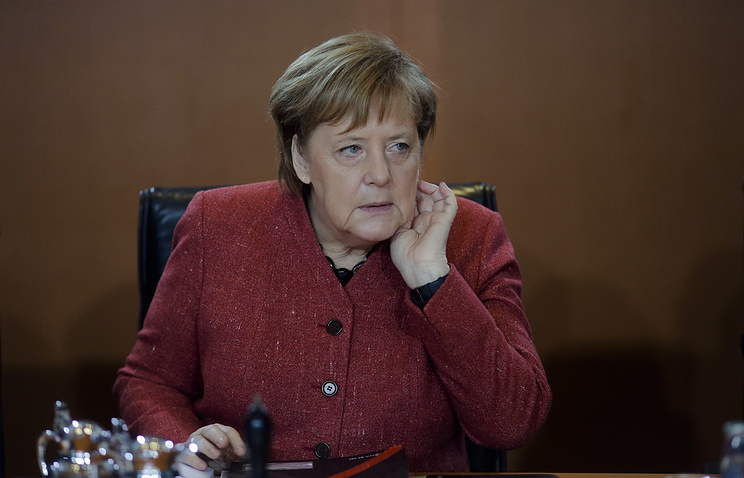 "It is important to keep the window for dialogue open," the German chancellor concluded. The INF Treaty, signed by the Soviet Union and the United States on December 8, 1987, took effect on June 1, 1988. It applies to deployed and non-deployed ground-based missiles of intermediate range (1,000-5,000 kilometers) and shorter range (500-1,000 kilometers). On January 15, Russia and the US held inter-agency consultations on the Intermediate-Range Nuclear Forces Treaty (INF Treaty) in Geneva. Ryabkov said following the meeting that the US had not even tried to bring the positions of the parties closer, making it clear that it was determined to implement its plans to destroy the Treaty. The US State Department's Under Secretary for Arms Control and International Security Andrea Thompson, in turn, once again accused Russia of non-compliance with the document and said that Washington would start the process of pulling out of the INF Treaty on February 2, unless Moscow dismantled the 9M729 missile, which, according to Washington, violates the Treaty.